Waves » Learn » Blog » 2019 » Which Mastering Limiter Should I Use? If you're doing your own mastering, whether it's for a complete album or it’s just a song you're releasing online, you'll need a mastering-quality limiter to use as the last processor in the chain. Because streaming services like Spotify, Apple Music and YouTube have instituted loudness limits, you no longer need to squash the life out of your music to allow it to compete in level with other recordings. Still, limiting is essential for getting the music up to standard listening levels and sometimes for subtly shaping frequencies and transients. This guide will help you determine which type of limiter is right for your song. 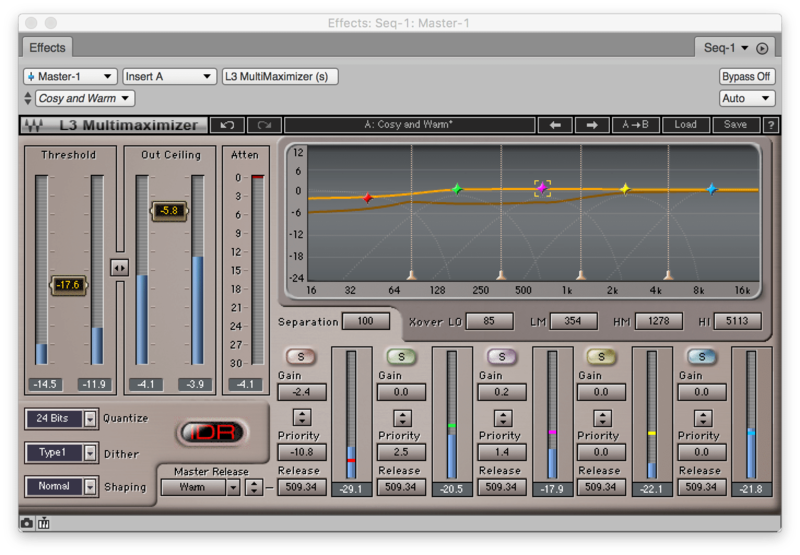 For those unfamiliar, a limiter works just like a compressor, except that it has a much higher ratio. A brickwall limiter, which is what you'd typically use in a mastering situation, has a ratio of infinity:1. As a result, the signal can never get above where you set the target level. A limiter does its job by reducing the peaks of the signal and bringing up the overall level. With the peaks reduced, the dynamic range gets smaller allowing the limiter to then apply make-up gain to boost the whole signal louder. One way to visualize brickwall limiting is to think of it like pushing your audio up against the ceiling. Since it can't go up any further, the distance between the lowest and highest levels shrinks the more it's pushed. However, too much pushing not only makes the audio sound squashed and lacking in dynamics, but can also cause distortion. Limiters are used in both mixing and mastering, but for the latter, their primary purpose is to transparently make the audio louder. In other words, you want to increase the level without it sounding like it's being processed. That said, there are times when you want to add specific characteristics like a "vintage" sound, which can be achieved through different release settings or by using plugins that model older hardware processors. When mastering, generally the only processing that happens after the limiter is dithering, and most mastering limiters offer dither options. What is dither? Simply put, it's very low-level noise (it sounds a lot like white noise) that gets intentionally added to a signal when digital audio is being reduced in bit depth. For example, if you're going to convert your 24-bit mixes to 16-bit for streaming services or CD duplication, you'll need to dither them. The process of bit-depth reduction is also known as "re-quantizing" or "truncating." Without getting into too much detail here, dither helps mask what's called “quantization distortion,” which is caused when you reduce the bit depth of a digital file. Another aspect of dithering that you'll come across is called “noise shaping.” It's an additional process that makes the dither even harder for your ears to hear. You'll find this option in most software that provides dithering, including in mastering limiters. Peak limiters are not all the same flavor. There are different types that go about their jobs in different ways. Some might be more useful than others, depending on the source material and how you’re using them. 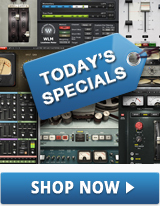 Waves makes a selection of mastering-quality peak limiters, which vary in both features and capabilities. Both the L2 and L3 series limiters were specifically created for mastering (although some of the variations in the series are great for mixing as well) and Waves recently released the Abbey Road TG Mastering Chain which offers a compressor/limiter alongside EQ, filtering and stereo imaging. 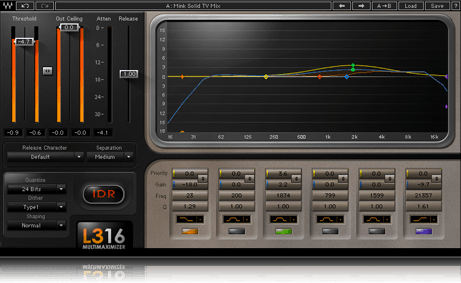 Let's take a look at some of these options for mastering limiters. The Waves L2 Ultramaximizer is what's called a "wide-band limiter," which means it processes the entire frequency spectrum of your music in the same way. Peaks in the low end are treated the same as those in the midrange and high end. Thanks to its "look-ahead" feature, it can examine incoming signal before it gets processed. This allows it to make intelligent decisions about how to achieve the amount of limiting it's set for without creating distortion. The Waves L2 Ultramaximizer provides powerful wide-band limiting along with dither and noise-shaping. The L2 also offers “automatic release control,” which makes program-dependent decisions on setting the release time. This is a helpful feature because the release time is a hugely important variable in the peak-limiting process and not an easy one to set manually. If a release setting is too short, it can cause audible pumping; too long and it can make the music sound overly compressed and lifeless. The L2 has the same configuration of threshold and output ceiling controls that are available on other limiters in the series. Located between those two adjacent sliders is a link control which lets you pull down the threshold and output ceiling sliders in tandem, and can be useful for comparing the processed and unprocessed sound, without bias for the louder version. Once you're happy with your threshold setting, you can then raise the output ceiling to a level you want your master to be at. Although it has the same IDR section, threshold and output ceiling controls as the L2, the L3 Multimaximizer is a different beast, because instead of processing the entire frequency range together, it lets you address up to five separate frequency bands individually. With the L3 Multimaximizer, you can split the audio into five bands and specify how much limiting to apply for each band. Not only can you set the frequency ranges for each band, but you can also use the plugin’s priority controls to tell the L3 to limit more or less in each band. This allows you to have more control over which part of the audio is getting the limiting. Why would multiband limiting sometimes be a better option? Here’s an example: Say you’re working on a song where most of the peaks are occurring from snare drum hits. With a multiband limiter, you can set up a zone that covers the central part of the snare frequency range and limits it more heavily than the others. This way, the rest of the mix will retain more of its dynamic range, while the peaks from the snare drum will be reduced to the desired level. Each frequency zone also includes a gain/boost control for each band, effectively making it into a five-band EQ, and you can set the release control separately for each. The other difference in the L3 is the addition of nine selectable profiles, which adjust it for different response types (primarily by controlling release time) that you can experiment with to see which works best for your music. There are several other flavors of the L3, including the L3 Ultramaximizer, which looks more like the L2 with a multiband engine under the hood, but no user-control over the different frequency bands. You might choose the L3 Ultramaximizer if there are specific frequency areas (like the snare drum example given earlier) that you think might benefit from more or less processing, but you prefer the “preset” style approach. Because the linear phase crossovers in the L3 models create a fair bit of latency, there are also low-latency “LL” versions of the L3 limiters, included with the L3 Multimaximizer, which use lower latency minimum phase crossovers. These are designed for when you want to add peak limiting to specific tracks or busses in a mix but don’t want to deal with the latency and CPU load of the standard versions. The most recent and potent L3 limiter plugin is the L3-16 Multimaximizer, which features 16-bands of limiting under the hood, with six bands accessible from the front panel. If you’re working on material with multiple frequency areas in which you want to set different amounts of limiting, the L3-16 will give you the flexibility and power you need. However, if you’re not comfortable with that much user control, you’re probably better off with another one of the L3 versions. 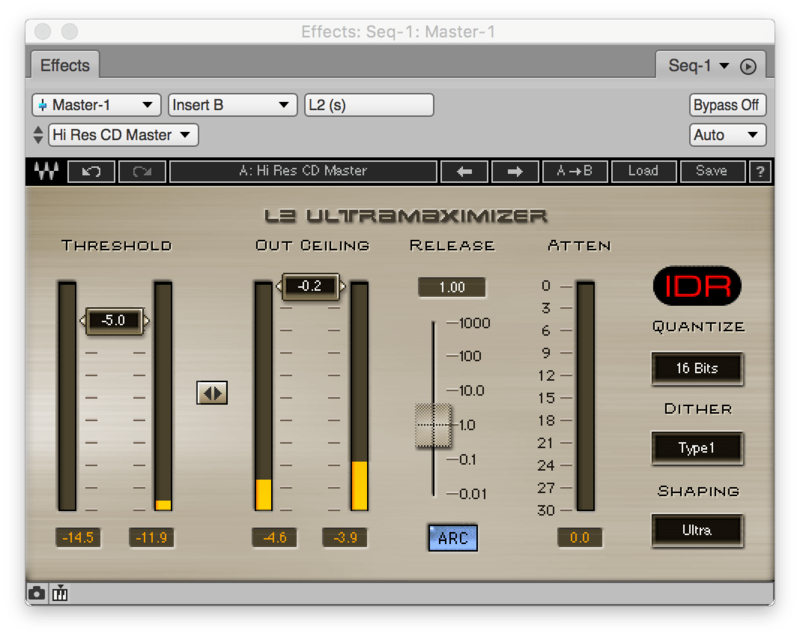 The L3-16 Multimaximizer provides six user-selectable bands of limiting (16 bands overall) and a 6-band paragraphic EQ. 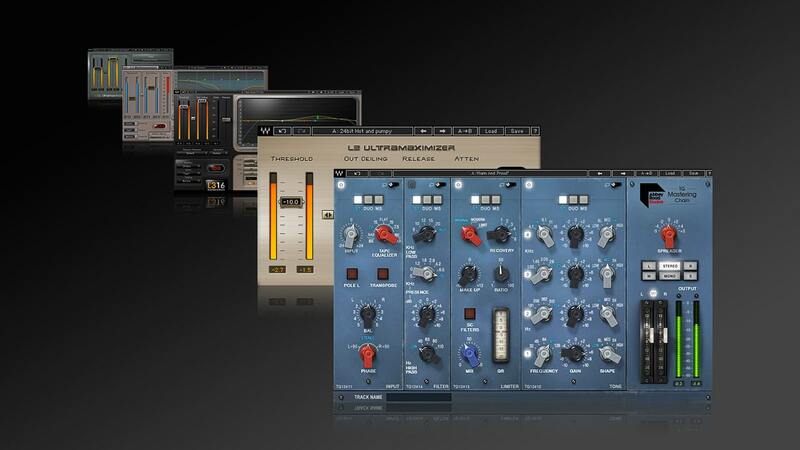 The Abbey Road TG Mastering Chain is more than just a limiter, it’s a full mastering processor. It's modeled after the TG12410 Transfer Console that's been a fixture in the Abbey Road Studio mastering suites since the early '70s. The plugin includes four independent modules; input, EQ, limiter and filter, plus an output section. The limiter has three different modes; original (based on the original compressor mode from the console); limit, based on the console's limiter, and modern, which is a VCA-style compressor designed for low-level mastering compression. The Waves Abbey Road TG Mastering Chain is a complete mastering solution in a single plugin, based on the mastering console still used at Abbey Road Studios. None of the three limiter modes are of the brickwall variety, so you'll have to be careful in your settings that the levels don’t go above 0dBFS and cause digital clipping. You have six preset combinations of attack and release that you can set with the recovery (release time) control. There are several reasons why you might choose this plugin over one of the L-series limiters. One is to be able to process in dual mono or MS mode in addition to stereo. Each module in the Abbey Road TG Mastering Chain can be operated in any of the three. If you wanted, you could use MS mode only to limit center elements like bass, kick, snare and vocals without affecting the side elements, which could be cymbals and guitars. Dual mono can be handy when you want different limiter settings for each side of the stereo spectrum. For example, say there’s a loud source, maybe a prominent floor tom, that happens mainly on one side of the mix in part of the song. If you’re in stereo mode, that floor tom will trigger the limiter and bring down both sides equally, even though the loud floor tom is only on one side. In dual mono mode, each side would be affected independently. 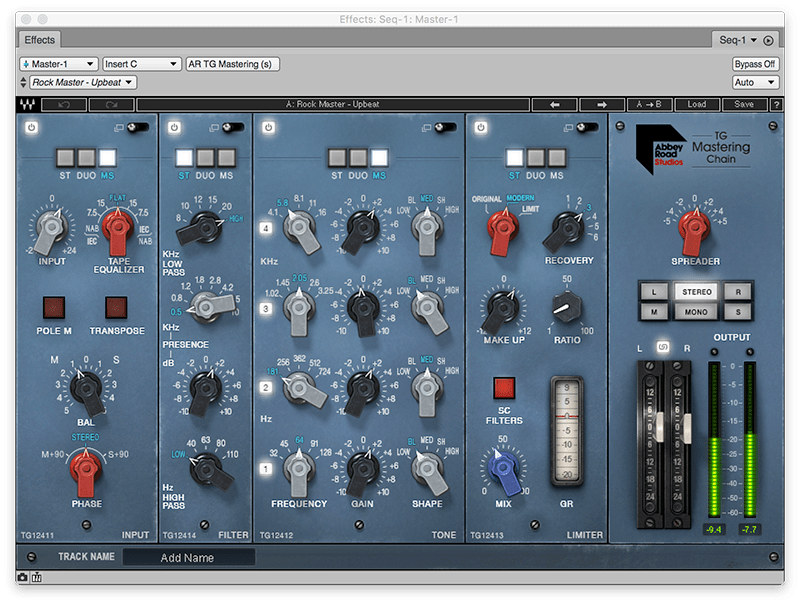 Another reason to go for the Abbey Road TG Mastering Chain is if you want to use its modeled, vintage EQ and vintage tape EQ controls for adding color. The plugin also features a spreader which you can use to widen the stereo image. The Abbey Road TG Mastering Chain doesn’t have an IDR section, however, so if you require dither, you’ll have to add it from another plugin. As you can see, Waves offers quite a few choices for mastering limiting, each providing different levels of adjustability. If you're just looking to make your tracks louder and don't need the flexibility of multiband limiting, the L2 is probably your best bet. Go with the L3 Multimaximizer if you want the flexibility of multiband processing or think you might in the future. If you're a heavy-duty tweaker, the L3-16 will give you ultimate control over limiting. The Abbey Road TG Mastering Chain could be used standalone, or in tandem with one of the L-Series limiters. It's not only great for mastering but for tracking and mixing too. Want more on mastering limiting? Check out 6 tips for limiting during mastering.